I could write a whole post about tea. There are so many different types, flavors, strengths, caffeine levels and benefits. I wouldn’t call myself a tea purist, but I do love a cup of flavorful, full-bodied tea that isn’t bitter or overly sharp. I recently started making loose leaf tea from Art of Tea and it’s a game changer. Loose-leaf tea steeped in an infuser allows the tea leaves to blossom and expand, resulting in a greater extraction of vitamins, minerals and aromas. Whereas standard tea bags are limited by the size and shape of the bag. My husband and I recently ordered tea at Five Seeds Restaurant in Park City, and it was served in these beautiful Forlife teacups which are designed to make loose leaf tea without a bag. They look much chicer in person than in the images. We loved these so much, we ordered the cups from amazon before we left the restaurant! They have a large, high-quality, stainless-steel infuser so you can make any variety of tea and allow it to blossom to its full potential. 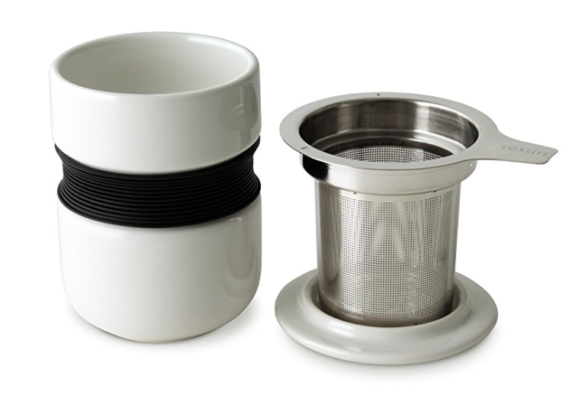 It has a high-fired ceramic cup with a rubber holder to protect your hands from the hot mug and prevent it from slipping out of your hands while you’re walking to your car with your hands full (ask me how I know this). 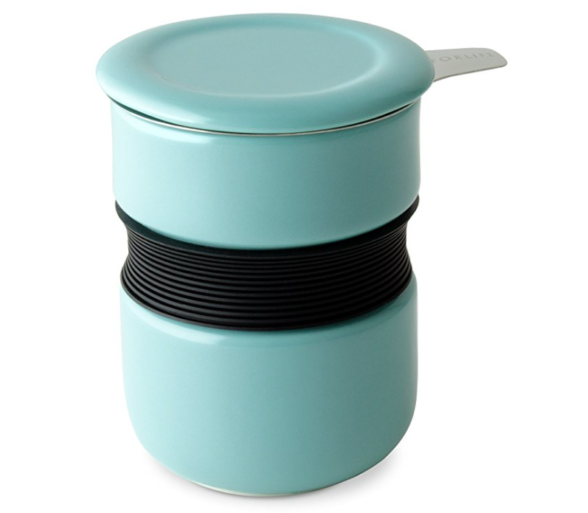 It comes in a ton of colors and the lip flips over to hold your infuser once you take it out. I think this would be perfect for the office too, and would make a great gift! Here’s the link to the cups on amazon. I know this is not what people want to hear, but listening to your body and eating the right amount of what feels good, is seasonal and clean is only part of a healthy lifestyle. Exercise plays a big part in my weekly routine and I make an effort to squeeze in some type of activity 5-6 days a week. That said, I don’t always have time to do a 45-60 minute workout each time, which is why this 7-minute workout really appeals to me. All I need is my iphone on which I have downloaded this Youtube video, a small amount of space, a chair and 7 minutes. I can do this in my bathroom or in my hotel room if I am traveling. 7 minutes is better than no minutes, and if you struggle finding time to exercise at all, definitely give this a shot! I am currently obsessed with these Bodrum placemats from Rogers Gardens in Orange County. I found them when I had a meeting there recently and snatched them up immediately. I love their simplicity, texture, shape and washability. 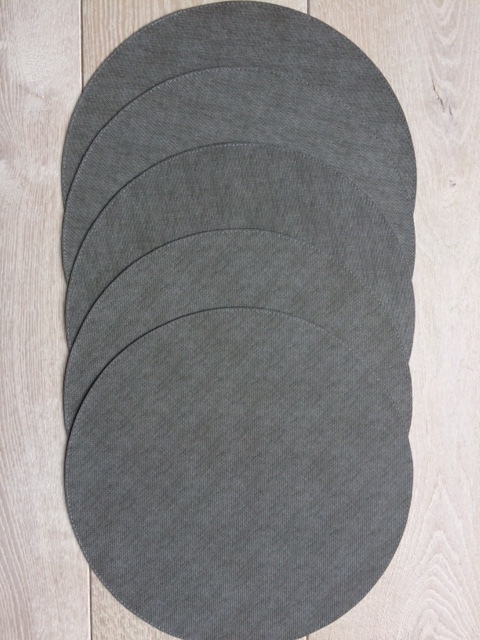 They almost look like a textured linen, but they’re wipeable. 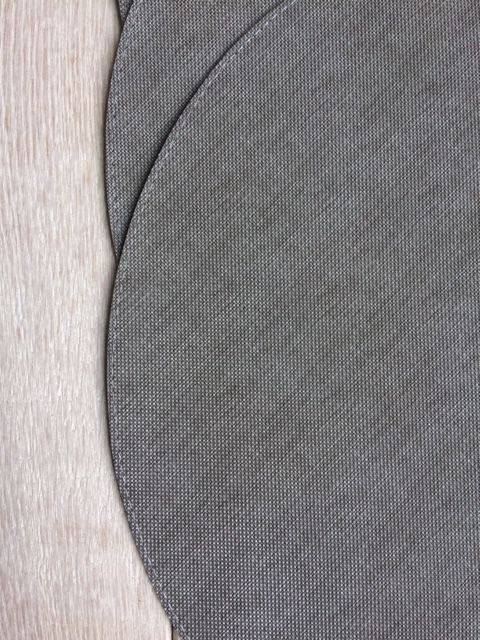 They come in a wide variety of colors, but I chose a light grey which is a very versatile and understated. You can order them from Rogers Gardens by calling 949.640-5800. If you follow me on Instagram, you already know how obsessed I was with cutting things into hearts and flowers for Valentine’s Day. I think “food art” can get a little out of hand, but there’s nothing wrong with having some fun in the kitchen, especially for the holidays. You can use a mini cutter on virtually anything flat, e.g. cheese, tortillas, jicama, sandwiches, pie crust, watermelon, cucumber slices, the list goes on and on. 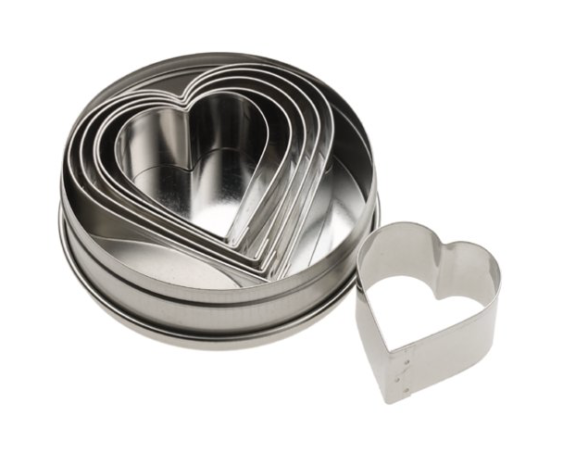 I have always had my go-to heart shaped and round shaped cookie cutters for all sorts of culinary adventures, but I recently got these tiny heart and flower shaped ones that are so small, you can cut things like bananas, carrots, avocados, strawberries, cucumbers, kiwi etc. 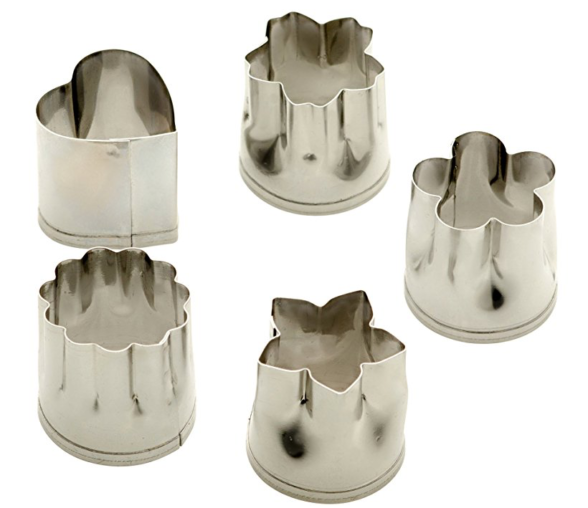 So many people direct messaged me on Instagram to ask where I found these cutters, I thought I would share here. Just click on the link above! Shira Lenchewski is the resident nutritionist at GOOP and is a registered dietitian, all around nutrition guru and my friend. We went on a “blind date” a few years ago (I.e. I emailed her out of the blue and said, “let’s grab tea!”) and we became instant gal pals. 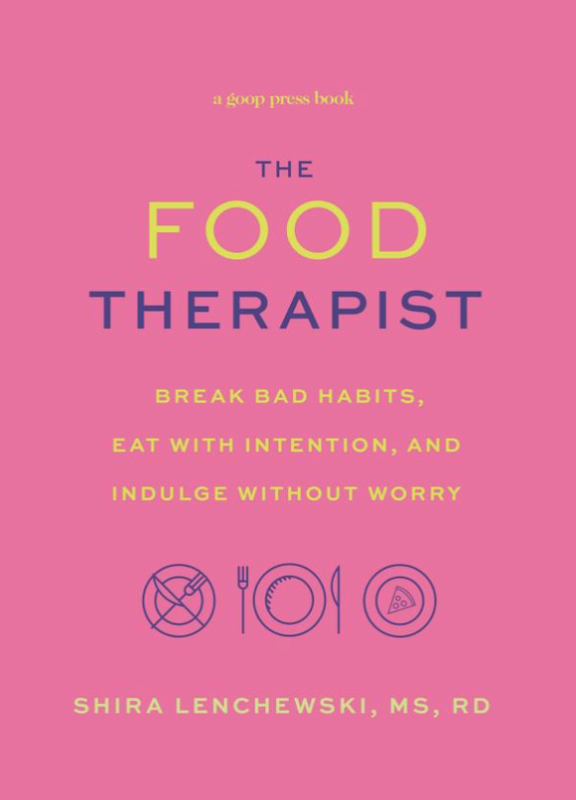 Her new book, The Food Therapist, is a wonderful look at being more mindful about our relationships with food and how to, as she puts it, get the %&^# out of your own way to being a more healthful, happy person who isn’t being yanked around by cravings, stress eating and the like. So many women I meet have complicated relationships with food. I love her non-judgemental tips and practical tools. It’s like a therapy session and you will finish it with a new-found inspiration to be the best version of your hungry self. 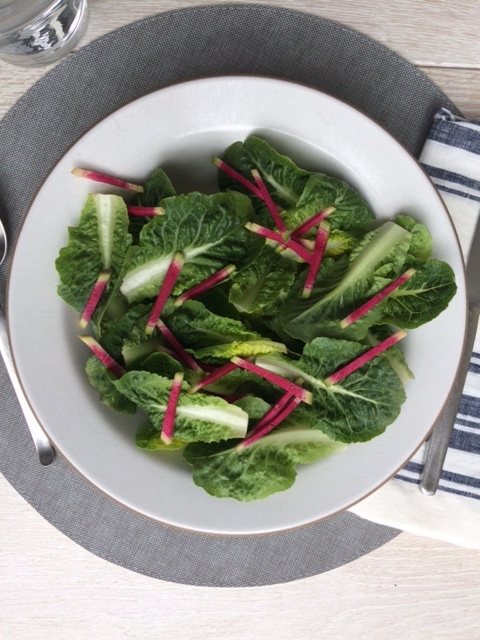 She also has some great recipes in her book, and one in particular for roasted sesame-ginger brussels sprouts, that I will be sharing with you next week. As always, I have not been compensated by any of these brands in any way.